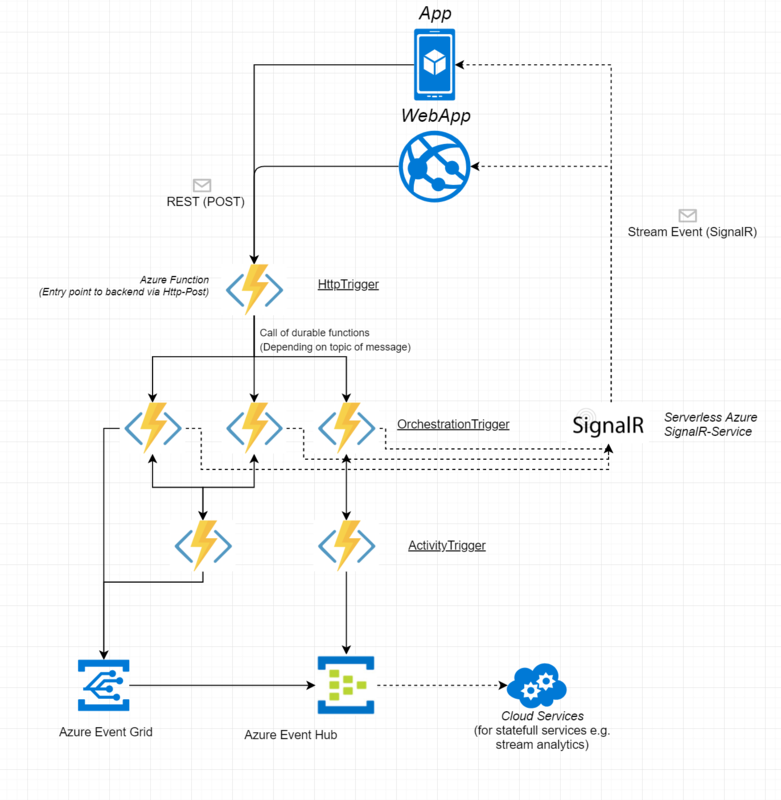 We are about to develop a microservice architecture with azure functions inside azure. We thought about using interservice communication with durable functions. On app site we want to use an async pub/sub pattern to publish request/commands through a single function gateway. This command will be forwarded to other durable functions and processed there. The response to app will be responded asynchronously via signalR. All data that need to be processed inside not stateless services will be send via EventGrid/EventHub to the specific cloud services via streaming. The performance of the durable functions for a roundtrip (App-Functions-App) is about 300 ms. Does anyone has some ideas how to improve the performance? Performance can better be discussed as perceived performance, rather than the time it takes to make a round-trip. Please search for ways to improve a web page's perceived performance, e.g. "Optimistic UI". If you place user's request as a message in a queue instead of processing it immediately (maybe that's what you have in mind already), you might be able to assume that it will be processed succesfully and upon placing of the message in the queue, you could notify the user of success. Only if the processing of the message is not succesful, which should occur rarely, you can then notify the user that it was failed. Even this can be questioned in which cases it is necessary to notify after unsuccesful processing. Not the answer you're looking for? Browse other questions tagged architecture microservices azure or ask your own question.